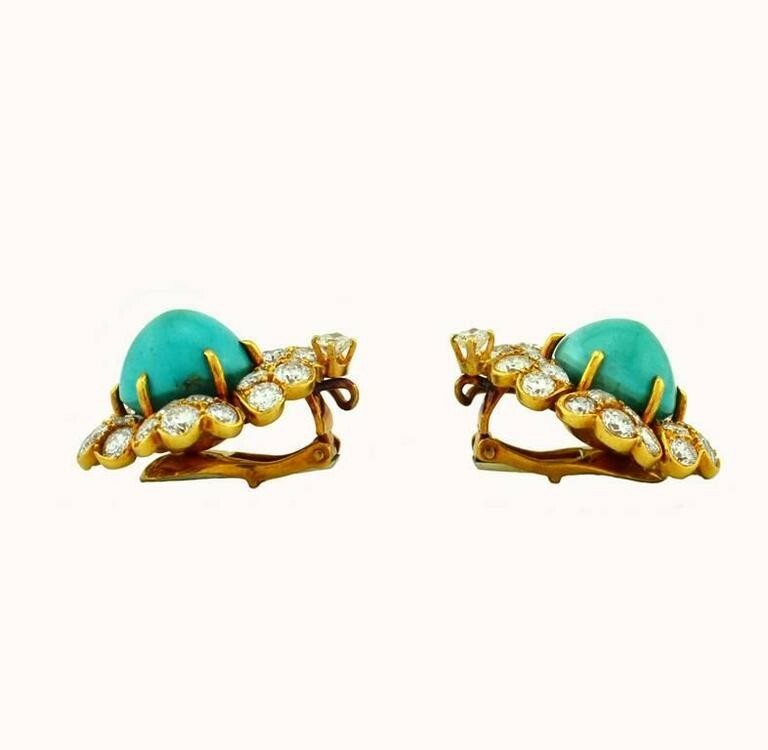 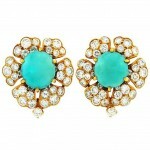 A beautiful pair of David Webb turquoise and diamond gold cluster earrings in 18 karat yellow gold. 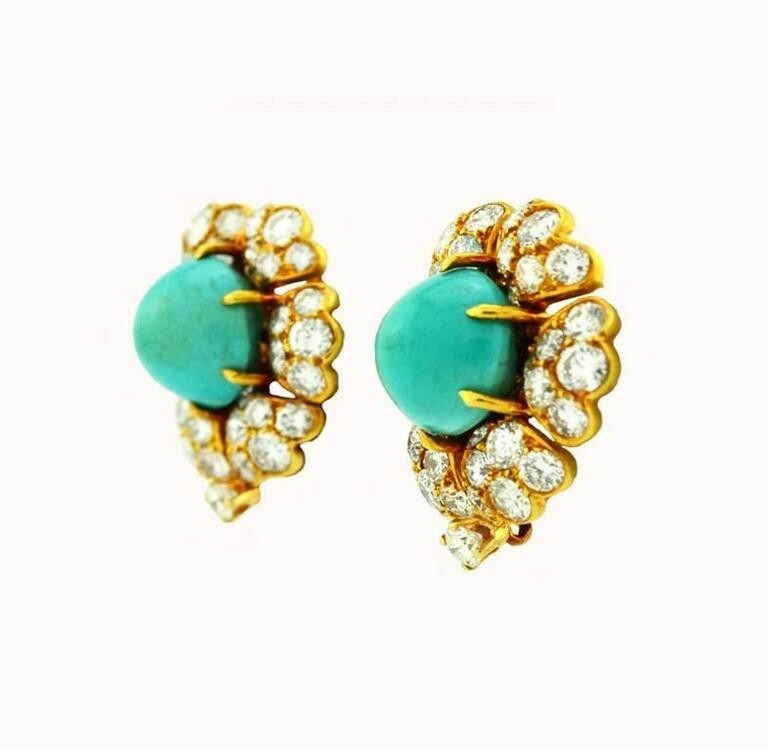 These clip-on earrings feature 2 greenish-blue turquoise cabochon at the center of each earring and 74 round cut brilliant diamonds, which total approximately 6 carats in total diamond weight. 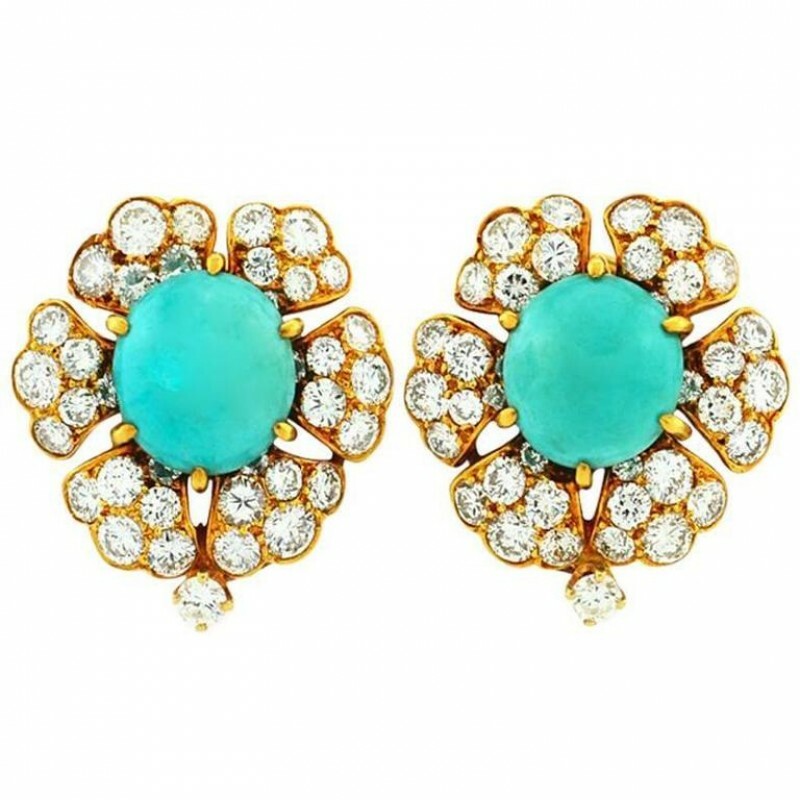 Circa 1960s. 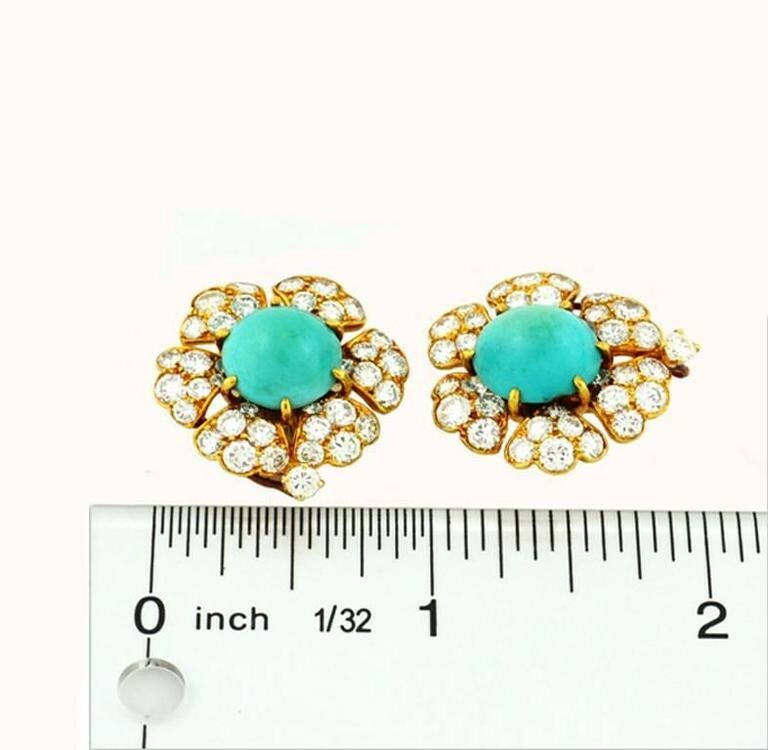 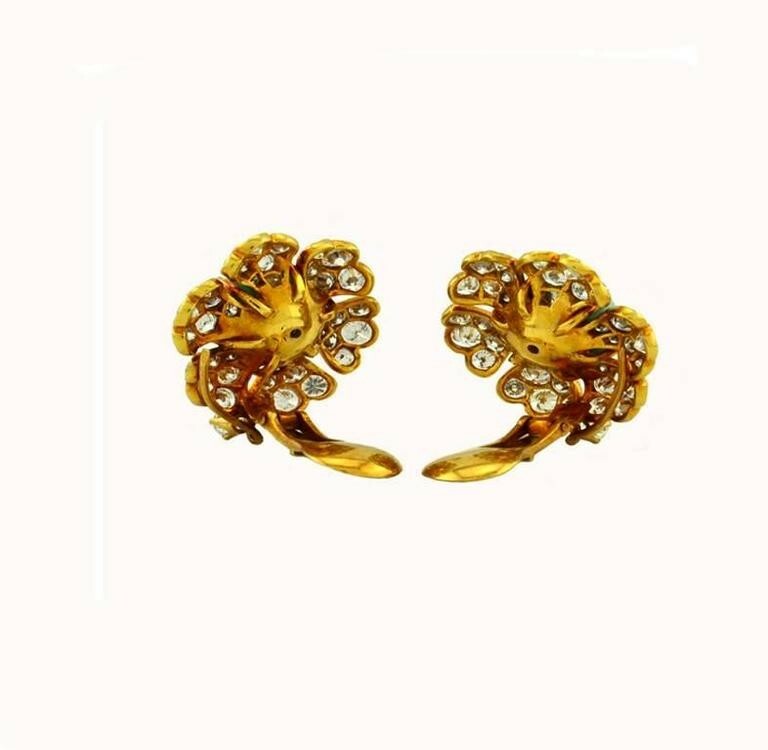 These earrings measure approximately 0.97 inches in height and 0.92 inches in width.